I’m really excited to be going to Sidmouth Folk Week with Instep Research Team for a series of events around Social/Freestyle step dancing. We will be running some workshops as well as a couple of step dance sessions open to step dancers and would be step dancers to have a go and enjoy step dancing informally together. Improvised step dancing was once common throughout these islands, and was intimately tied to our musical traditions. We will be looking at three English styles: Southern Stepping, Freestyle Lakeland step dancing and Lancashire street clog. 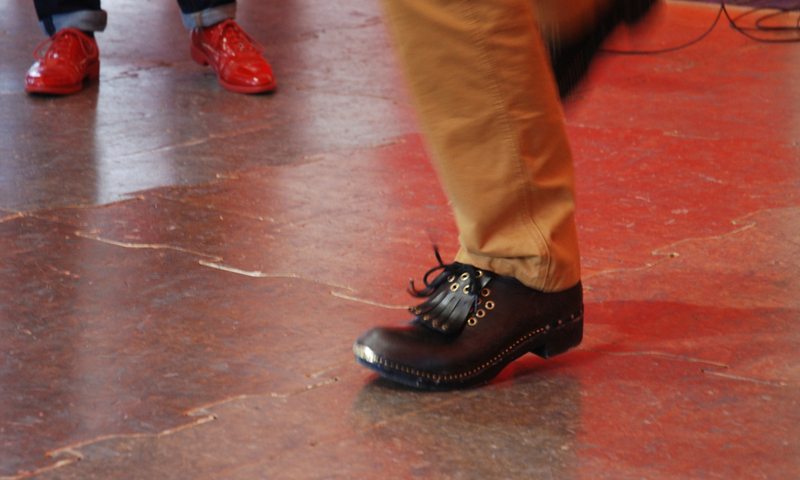 These styles (and others such as East Anglian and Dartmoor stepping) provide a refreshing alternative picture of our step dance heritage to the more formal stage and competition influenced styles championed in the English Clog revival. I will be running the Lakeland workshop taking a fresh look at the style and using some the Lakeland step units in an improvised way. We know that, in the Lakes, people often step danced in shoes as well as clogs, and that they stepped within social dances and at social gatherings, for example a parties after sheep shearing. We don’t know for certain what they did, but it is a reasonable guess that they used the same basic step dance units that were taught to children by the travelling dancing masters. It’s great fun and we will be dancing to traditional un-dotted Lakeland Hornpipe tunes played by Lakeland Fiddlers Carolyn Francis and Scott Hartley. 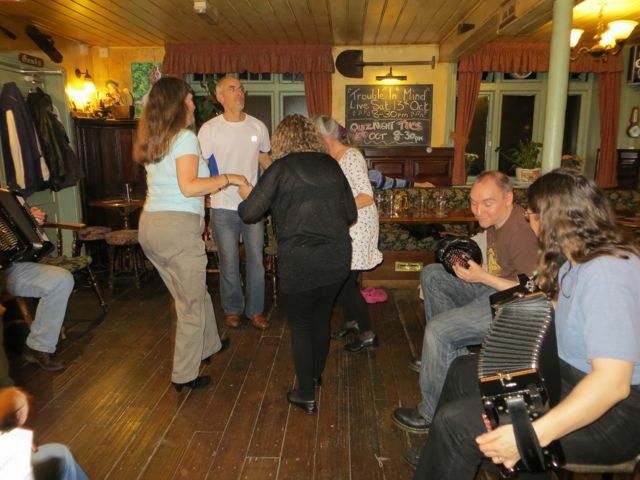 Learn some easy ‘heel & toe’ clogging based on steps collected in South Lancashire. Open to all levels of experience,clogs are provided. Alex Fisher, musician Bill Place. Polkas, jigs, hornpipes, maybe waltz rhythms and putting steps into simple social dance figures. Simon and Jo Harmer, Janet Keet Black, Kerry Fletcher. Musicians Jigfoot, Will Duke, Katie Howson, Dan Quinn. Music led by Jigfoot, Will Duke, Dan Quinn and Katie Howson. All steppers and interested musicians welcome. 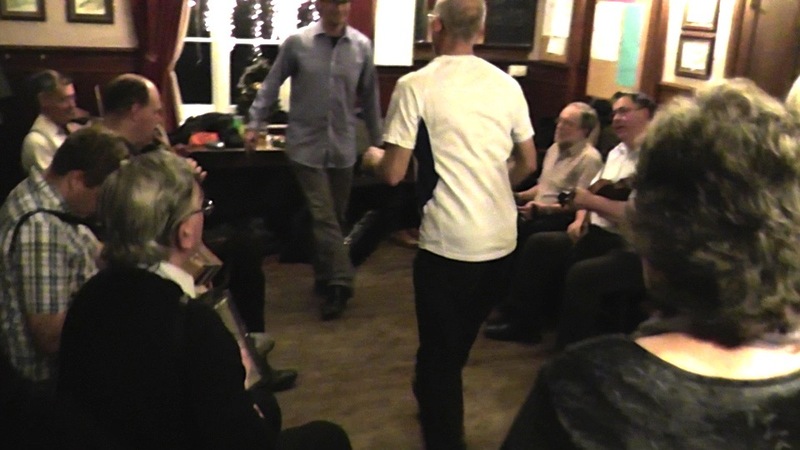 Learn some simple Lakeland steps from Toby Bennett danced to traditional hornpipes played by Lakeland fiddle players Carolyn Francis and Scott Hartley. Social Stepping Session, Steppin’ Time Again! Hosted by Lakeland fiddlers Carolyn Francis and Scott Hartley with Jethro Anderson and members of the Instep Research Team.